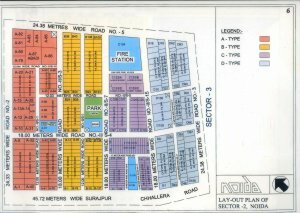 Industrial Plot for Sale in Sector-02, Noida. on 18 Mtr. Wide Road, Plot Size-390 Sq.m., Company Transfer, Lease rent paid, Sale Price-5 Cr.